Distance learning goes as far back as the 18th century and it has proven to be very successful all over the world. Distance learning is a method of studying where the students don’t need to travel or attend a school or college. With distance learning, the student receives his/her study material through the post or via courier service, and corresponds with the learning institute through post, email and phone calls. 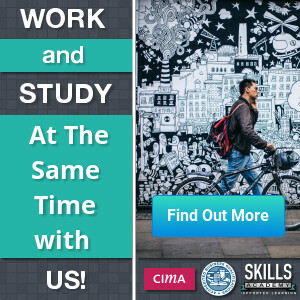 The student studies from home and has to be self-motivated and disciplined, as they are in charge of how much time they spend on their studies. Distance learning is ideal for those who have a day time job or other commitments, but would also like to further their education. Many people wonder what it is like to study via distance learning. As a distance learning student, you will have to be self-driven and motivated. You will be in full control of your studies. If you are interested in studying via distance learning, you should contact a distance learning college and find out if they offer the course that you are interested in, and also what else they can offer you. You can click on the button below to view a list of distance learning colleges. There are many distance learning institutions in South Africa. Each and every one is different, offering a different list of courses. Some of these distance learning institutions are course-specific, meaning that they only specialise in one field of interest – such as computer studies or sports studies. Other distance learning institutions offer a variety of courses covering almost all of the study fields. Before choosing a distance learning institution, you need to decide what field of interest you are interested in, and what type of course you would like to study. The course that you are interested in is most likely to be available on certificate and diploma level. Read here for more information on Bookkeeping Courses.